A creative, seaside loft and event space designed by Leah Forester. As creator of the Venice Supper Club, Leah Forester brings a career spanning 20 years in fashion as a stylist, brand ambassador, and show producer working with C Magazine, Diane Von Furstenberg, Tory Burch, and Smashbox Cosmetics as well as a long slate of celebrities, top photographers and publications. In 2001 a venture into retail as creator of New York’s first private boutique, Decollage, opened the doors for “experiential shopping,” now seen across Europe and America. Praise from Vogue, Elle, Harper’s Bazaar, and many other publications confirmed that Decollage was more than a boutique… it was an experience. This passion for creating environments and experiences has been showcased for over a decade through interior design, event production and guest curation. Her personal style is inspired by a love of food, travel, beauty, and the mystical elements of life. All this converges at the Venice Supper Club: a decadent event space that serves as a platform for artists in the food, style, and entertainment arts. This community of artists and talents create unique immersive experiences ranging from Sacred Tea Ceremony to an evening of Voodoo Noir. 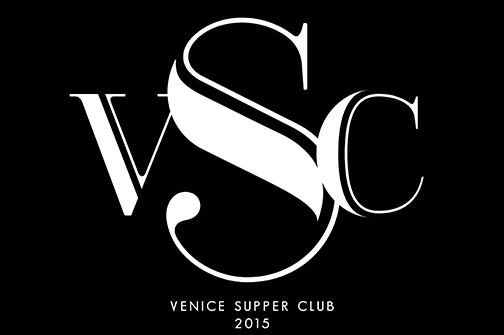 The Venice Supper Club encompasses it all: food, style, seduction, and magick.